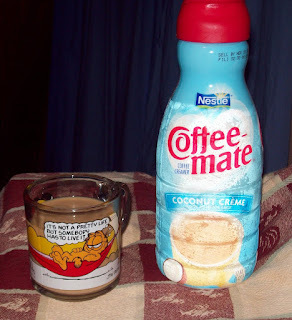 I love flavored coffee creamers. Especially Coffee Mate. My two new obsessions are Coconut Creme and Black Cherry Streusel. Both are so, so yummy! I've drank black coffee, I've made my own flavored creamers, but this stuff just can't be beat! Now, if it was only good for my waist line! To get your creamer fix and save some cash too, click here for some great coupons! And to see what other bloggers are loving this week, check out Things I Love Thursday hosted by The Diaper Diaries. I don't like hot coffee. I'm more of the iced coffee drinker. However, when you add a little flavor to the hot stuff, I can drink it. My favorite right now is Tiramisu. i mix my hazelnut with splenda for a delish way to start the morning!